Roof ventilators are used to provide weatherproof outlet to let the hot air escapes from the house during summer and moist air during winter. Having enough of these devices installed on the roof will help to reduce the temperature of the house as cooler air will be brought in from the outside of the house to replace the hot air that escapes. 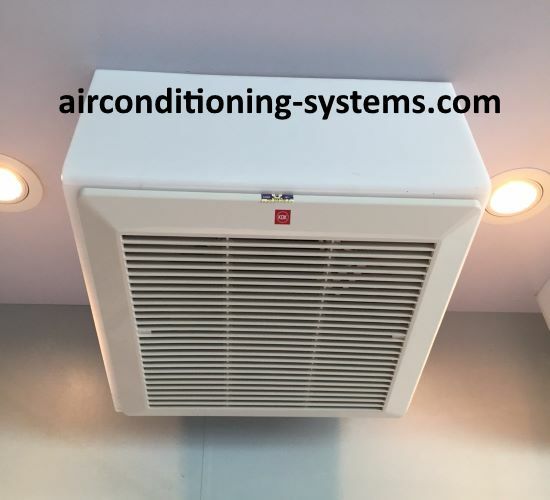 During cold months, these ventilators help to ensure that the moisture in the house is removed otherwise it may cause damage to the roof and growth of mold. Ventilation is defined as the process of changing the air from one space to an entirely separate space. It is done by natural or mechanical means. Proper ventilation helps to ensure the comfort and health of the occupants in the house by maintaining the oxygen level in the house, removal of odors and hazardous gases from the house. It is important to ensure that the air being exhausted and being drawn into the house is balanced up otherwise it may cause depressurization if more air is exhausted from the house. Depressurization can cause toxic combustion gases to be released through cracks and ducts of the cooling or heating system. Stoves and fireplaces used in the house cause negative pressure hence positive pressure should be maintained by using fan or HVAC system to bring in fresh air. There are many types of roof ventilators that are in used today. They are natural ventilation units that may be used to supplement power driven fans. There will be savings of energy if the use of natural ventilation is adequate for the house during certain period of the year. Turbine ventilators are commonly used nowadays. There are a series of vanes on top of it that causes the entire top to rotate from the force of the wind. On the inside of the device is a series of propeller blades that exhaust the air from the house when the wind rotates the head. The disadvantages of these turbines are that they are lower in capacities when the air is quiet, need oiling and cleaning and can be relatively noisy when the environment is quiet. Stationary Head type is the most efficient when designed properly. It advantages are that there are no moving parts hence servicing is minimal, quiet and higher capacity under all wind conditions. Revolving ventilators swings on a pivot in such a way that the open end always points away from the wind. The low pressure induced by the wind causes it to draw air out of the house. The disadvantages are that it is low in capacity when the air is quiet, noisy when changing direction and sometimes stuck at the pivot. Ridge ventilators are installed along the entire roof ridge to be ventilated. They have valves that allow hot air out as it rises to the roof. Siphonage type acts by induction and drawing the building air upward. Rather than depending on induced-draft ventilator, the use of fan ventilators which is a forced-draft greatly increases the ventilating capacity when the fan is in operation. It can be used in any building without depending on the wind flow. A power driven ventilation fan. They can also be used in ducts to provided greater capacities when friction losses are high. The fan can be off when the induced-draft capacity is adequate. Read more on ventilation fans here.